Hi everyone!!! 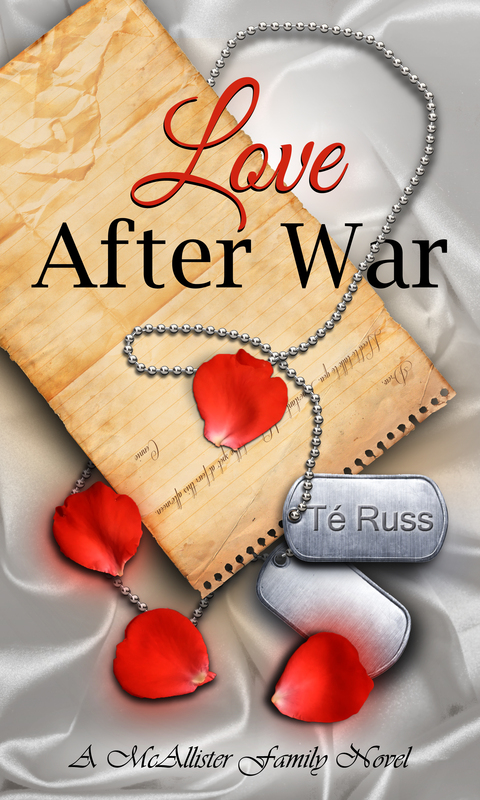 Happy release day to Té Russ, whose new book, Love After War, is now available!! This is the fourth book in The McAllister Family series! “What are we doing here Andrew?” Connie asked, annoyed. It looked a lot like a pizzeria they used to go to as kids in the summer in Galveston. She wondered if he’d brought her here on purpose. The lady barely looked at Connie; she was so busy eyeballing Drew. And flirting just a tad too much. 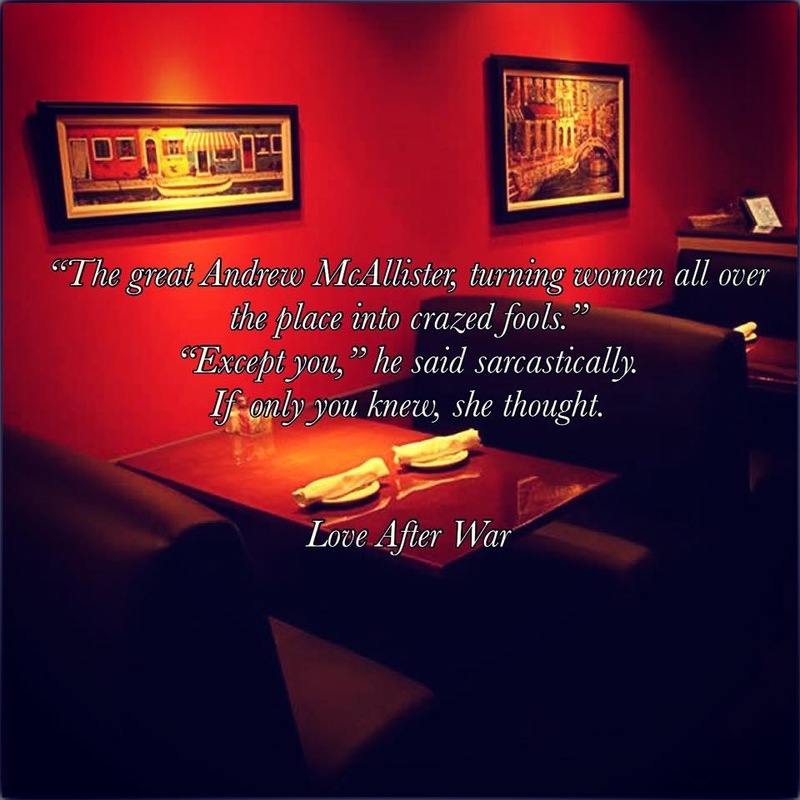 After she was done fawning over him, she sauntered off, with an exaggerated sway of her hips. Connie watched as the woman slipped a piece of paper down in front of him. She rolled her eyes as the woman walked away. “But you do?” Drew asked, with a raised eyebrow. Connie opened her mouth to argue, but she couldn’t because he was right. Drew seemed to have barely to noticed the hostess. “So what does make me cute?” he asked, his voice filled with a hint of intrigue. Connie threw a napkin at him and he laughed out loud. Joss, the waitress, showed up then and took their food orders. She was clearly a young girl, probably a college student and was completely enamored with Drew as well. Thankfully, she wasn’t shameless like the hostess. The poor girl could barely speak. She kept looking at Connie and stealing glances toward Drew, as if he were the sun and just too bright to look at directly. “It’s all right,” he said to her. “I’m not the only one causing trouble in here,” he said, interrupting her thoughts. “How could you know that?” she asked in a whisper, leaning closer toward him.